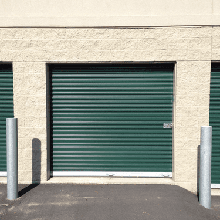 At Richmond Hill Lock-N-Store, we are a state-of-the-art storage established in 1998, with the aim of providing quality for Richmond Hill, Georgia. The main reason people choose our storage is to keep their belongings protected, and that is exactly what we offer. Our gate hours are 24/7, so you can access your storage unit any time you like. Our goal is to be the best customer-centric facility in the area. As we look forward to building long-term relationships, the key to success for us is in providing you with unmatched storage services. To honor those who have served our great country, we offer storage and parking at discounted rates for those who can show proof of their active military service! Customer Care at Its Best! Richmond Hill Lock-N-Store has years of experience working in the storage industry, allowing us to offer high-quality services to everyone – business owners, students, RV owners, boat owners and many more. Because we want to offer the best in customer care, 24/7 elctronic gate access, fully lighted avenues and cylindrical locks, and our facility managers are on-call for your convenience. We are conveniently located at 400 Longwood Drive, Richmond Hill, GA 31324. So come on in and get your storage today!